With over twenty five years of experience, Canavan Associates is an established and well recognised firm of Chartered Town Planners, Registered Architects, Environmental and Wind Energy Consultants. The practice provides a full range of services in town planning, architecture, environmental assessment and general development. We have specialist expertise, policy and strategic know-how. We are expert in wind and renewable energy development, quarries and Environmental Impact Assessments. Based in the northwest, the practice provides these services throughout the island of Ireland to private, public and community sector clients. 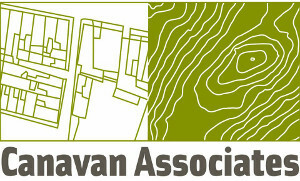 Canavan Associates have positive working relationships with public and government agencies and a successful track record in securing desired planning results with proactive progression of planning applications and projects. Staff members have a wide range of professional skills and expertise with MSc and MA qualifications in town and environmental planning, renewable energy, ecology, ornithology, architecture, construction and community development with memberships of the: Irish Planning Institute (IPI), Royal Town Planning Institute (RTPI), Institute of Environmental Management and Assessment (IEMA) and the Royal Institute of Architects of Ireland (RIAI). The Company is a member of the Irish Wind Energy Association and the NI Renewables Industry Group Forum. Canavan Associates’ team are skilled in project management including leading and managing Environmental Impact Assessments for medium to large-scale projects. This involves co-ordinating our established panel of highly competent sub-consultants in specialist aspects including geotechnical and civil engineering, ecology, transport, peat, hydrology, archaeology and noise. The practice is an InvestNI Company. We have implemented an Integrated Quality Management system accreditation under ISO 9001, ISO 14001 and OHSAS 18001.